1. Excited fuss or tumult from a crowd. Etymology: It is probably related to ub ub ubub, a Scots Gaelic interjection expressing contempt, or to abu, an ancient Irish war cry. 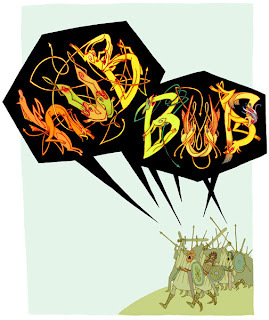 In any case, hubbub was first recorded (1555) in the phrase Irish hubbub and meant "the confused shouting of a crowd."